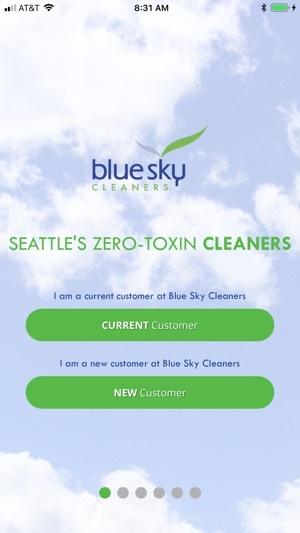 Blue Sky Cleaners Mobile is designed to save you time and make it even easier to use our convenient free pickup and delivery services in Seattle and the Eastside. 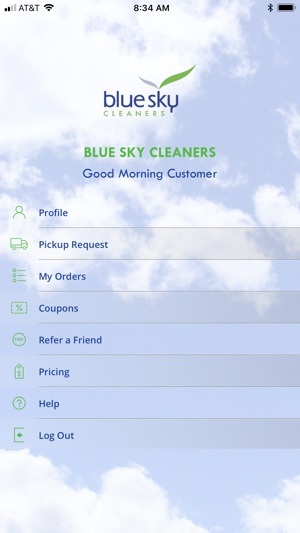 Our app gives you the ability to access your account information, track your orders as they are processed, view your order history and receipts, and even more! 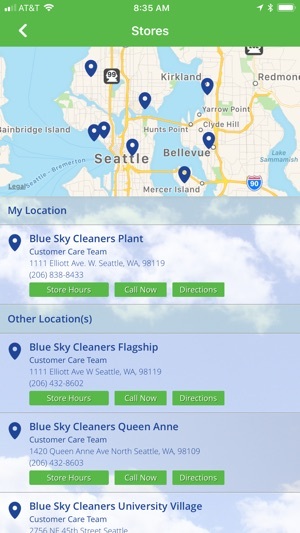 Schedule a free pickup with the push of a button, or let one of our stores know that you're on your way to pick up your ready items so they can be ready for you right when you arrive at the door. 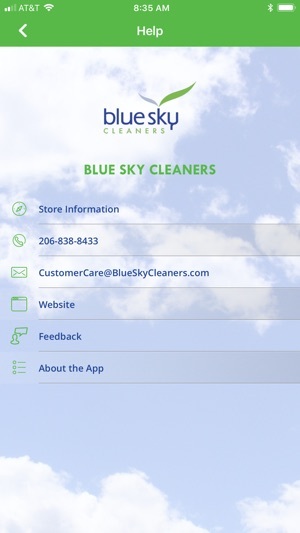 -View your account information, including contact information, payment methods, cleaning preferences, etc.